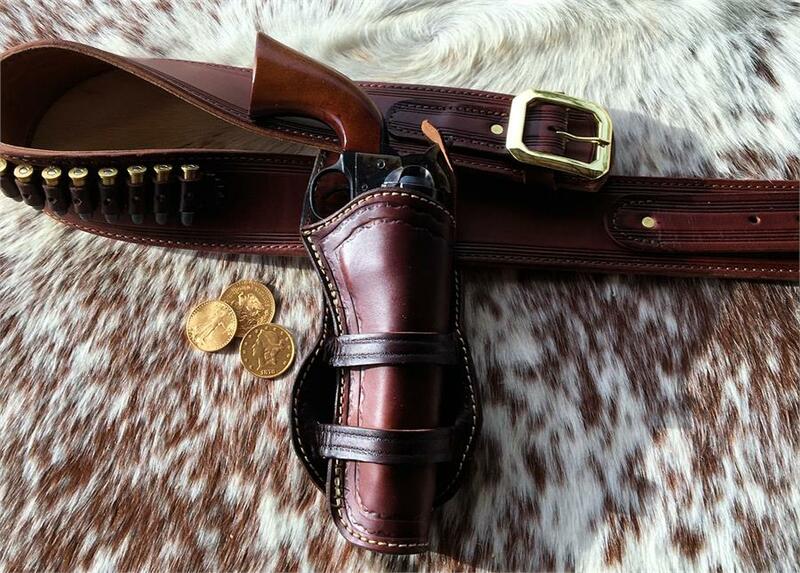 The Bonanza early western style gun belt and holster is the first gun rig in our new Ghost Town Trail series. 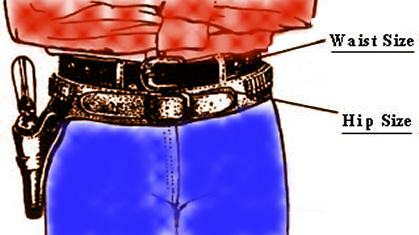 Border tooled and available only in straight left or straight right draw. Fully lined with choice of Black, Brown or Natural. Fits most singe and double action revolvers. The ghost town of Bonanza, Colorado was founded in the early 1880's and was a silver mining town. Set at an elevation of 9,478 feet in the Sangre de Cristo Mountains in Saguache County among lush valleys of aspens this little mining town and the surrounding mines produced over 150+ tons of silver during its period of operations. Learn more about the town of Bonanza below. Bonanza, Colorado is located in Saguache County in the Sangre de Cristo Mountains at an elevation of 9,478 feet. Founded in 1880 by the numerous prospectors that flooded the area when the first rich silver veins were discovered, these early strikes created a prosperous town that had saloons, dance halls, livery stables, shops of all kinds including mercantile, drug and hardware stores, hotels, a school, town hall, bank and daily stagecoaches from neighboring towns and plank sidewalks. Several mills were built in the area but in a short time miners discovered that the upper veins were rich but the lower veins were full of other minerals with low silver content and the mines started failing in the 1890’s with miners going on to look elsewhere for their next big strike. In the 1920’s and early 1930’s a few different mining companies came in and with new methods took out several more tons of silver and other minerals along with a few small mines that were still operating. Those mines were closed down in the early 1930’s. Although small by Colorado mine standards, tens of thousands of tons of metals were extracted over the time the mines were active including 150+ tons of silver. As happened to many towns of the day, Bonanza had a large fire in 1937 which burnt 30 buildings in the business section of town and was never rebuilt. Now classified as a ghost town today just a few old houses, mine structures and piles of rocks remain but the town of Bonanza is still incorporated with a few residents. Due to the mining the water in the area including streams is polluted with the heavy metals associated with mining which federal and state agencies are successfully cleaning up. A great place to visit you can see the formal toll road built by Otto Mears (builder of famous Colorado bridges), historical cemeteries and incomparable views from aspen covered hills. The Forest Service is in the process of creating an interpretive loop off highway for RV’s and visitors will be able to take in the rich history of the area. For more information, please visit the Bonanza web site at www.bonanzaco.org or contact the Forest Service, Saguache Ranger District, at (719) 655-2547.